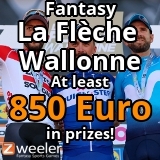 La Flèche Wallonne - CyclingFever - The International Cycling Social Network - Get the Cycling fever! La Flèche Wallonne can best be translated as: The Wallon Arrow. Wallonia is the southern French speaking part of Belgium and they’re proud of hosting their own series of classics, always competing with the Flemish. So two Wallon journalists came up with a plan for this race through the Wallon Ardennes. Albert van Laethem and Paul Beving (writers of yearbook “Cyclisme” from 1934 thru 1960) wanted to organise a route between Doornik and Liège, which were the two Wallon cities with the most distance between them. Philip de Meersman is the first cyclist to win that 1936 edition. Despite that first idea, this race has seen many shifts in start and finishplaces. Mons, Charleroi, Marchinelle, Verviers, Esneux en Spa have all hosted either the start or finishlines. Charleroi is the startingpoint of the race nowadays. From 1983 the finishline has been a constant as well. The infamous “Muur of Huy”, situated in the town of Huy, now welcomes the riders with a final very steep climb. Every year that climb provides us with a smashing finish to the race. Together with a few other steep climbs, La Flèche Wallonne is the perfect prequel for the Liège – Bastogne – Liège (La Doyenne) race. The association with “La Doyenne” has always been present. In fact, between 1950 and 1964 a joined classification took place, known as “Le Weekend Ardennais”. Especially the Swiss Ferdi Kübler is an enthousiast for the Wallon classics. He rules the Ardennes in 1951 and 1952. Both these years he manages to win these classics, of course winning this combined classification too. He actually won La Flèche Wallonne in 1954 again but was disqualified for irregular sprinting, so Belgian Germain Derijcke got his sole win of the race. In the times of the Desranges-Colombo Challenge (1948 – 1958), La Flèche Wallonne was part of a sort of top competition, best compared to the worldcup of latter years. After 1958 it loses its place in the top competition, but not its great esteem. The organisers today can still count on strong team delegations. Because of the strong field the competition between riders is huge every year. That’s why it appears to be very difficult to win this race more than once. This is probably also the reason why we find many different names on the leaderboard through the years. Only three riders managed to win La Flèche Wallonne three times. Marcel Kint, Moreno Argentin and (you guessed it, of course) Eddy Merckx are these all time recordholders. 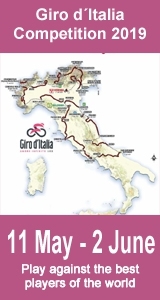 The distance of the race has been shortened to around twohunderd kilometres quite recently, due to new UCI rules. Before that rule the race used to be around twohunderd and fifty kilometres long. Fortunately that doesn’t mean the character of the race’s final has changed, so it’s still a great classic race!